Light rains have been occurring over the state of Maharashtra for the last many days. On the last day too, many parts of the state received rains. On the last day, moderate rains with one or two heavy spells occurred over Konkan. Light rains were observed over Madhya Maharashtra and Vidarbha along with isolated pockets of Marathwada. 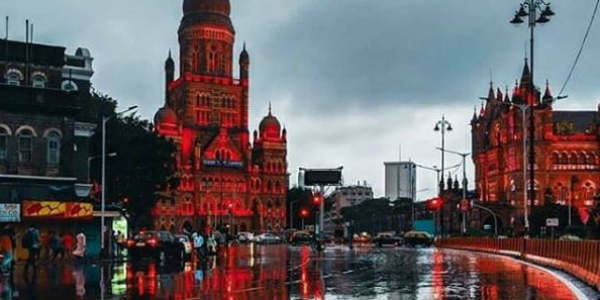 In the last 24 hours, from 08:30 am on Wednesday, Mumbai’s Santa Cruz Observatory recorded 23 mm of rains, Colaba recorded 7 mm, Ratnagiri 29 mm, Vengurla 20 mm, Harnai 15 mm, Kolhapur 7 mm, Pune 5 mm, Nashik 3 mm, Satara 3 mm, Akola 2 mm, Sangli 1 mm and Amravati witnessed 0.2 mm of rains. As of now, we expect light to moderate rains to continue over parts of Vidarbha and parts of Madhya Maharashtra. However, the intensity of rains would be more over Konkan region. 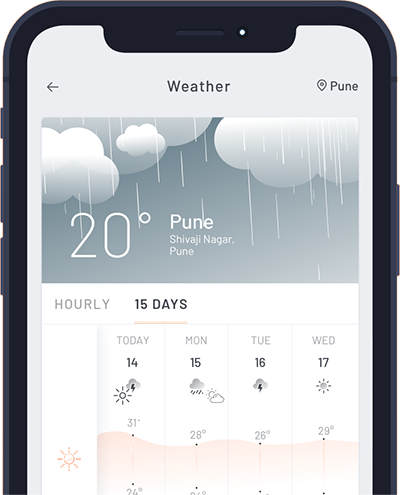 Meanwhile, Marathwada would be able to record some isolated showers. The weather systems responsible for these rains include a feeble offshore trough running along the West Coast which would give good rains over Konkan. In addition to this, the axis of the Monsoon trough has shifted northwards. A Sheer zone is also passing in the vicinity of Vidarbha and by the virtue of this, Vidarbha would also get few good spells. Gradually, Mumbai may also receive one or two spells of moderate rains. By August 25, the intensity would increase further over Konkan. Farmers are advised to drain out excess water from the cotton fields, pigeon pea, groundnut, black gram, maize, vegetable fields and orchards. Farmers are also advised to maintain the water level of 5-8 cm in the rice field. In North Konkan, farmers should maintain the water level of 3-5 cm by bunding rice field. Due to cloudy and continuous rains, pest infestation may also take place and hence, farmers should be prepared for that and take proper action to avoid negative losses.